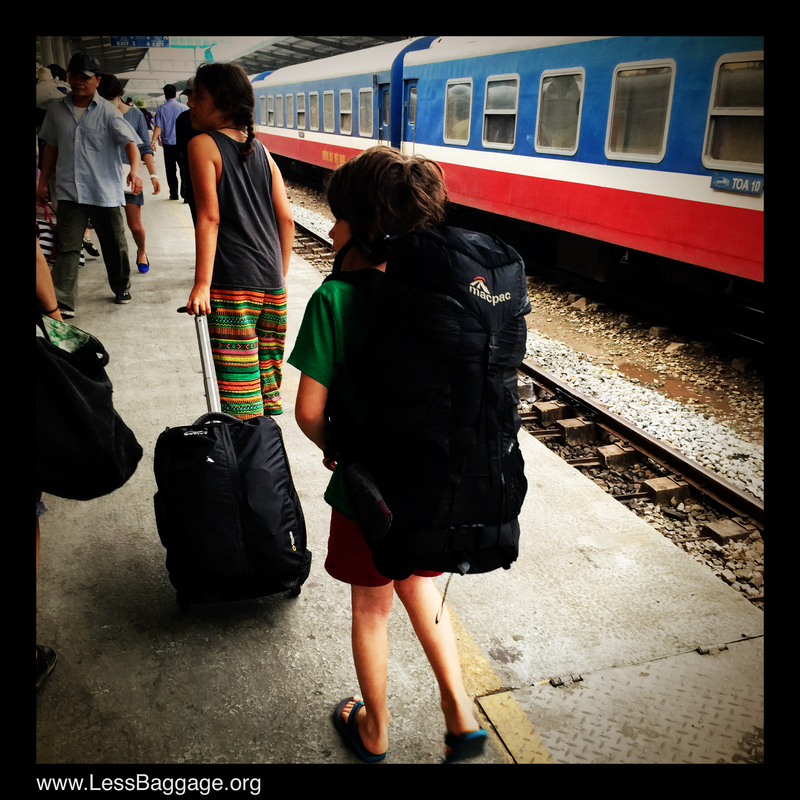 Travel by rail in Vietnam is easy. It really is. You only have to do it once or twice before you start getting a feel for it. Number one tip is to go to www.seat61.com and read what Mark Smith says. If you are not in Vietnam yet or don’t feel up to arranging all your own tickets the advice remains the same; Listen to the man in seat61; book through an agency. I planned to do it all myself but having arrived at a time of extremely high demand we had major problems getting seats and cabins. Language skills were lacking on my part so I did get help from an agency. We ended up using Vietnam Impressive; ( www.vietnamimpressive.com ). They were very helpful, very reliable and not very expensive at all. Definitely worth a few Dong. I tried to remain flexible and take it day by day in Vietnam with the family but in retrospect I advise others to set an itinerary a little earlier and get your Train tickets sorted. Which train? We travelled on public transport only. 4 different episodes of sleeper carriages. We tried hard sleeper and soft sleeper. 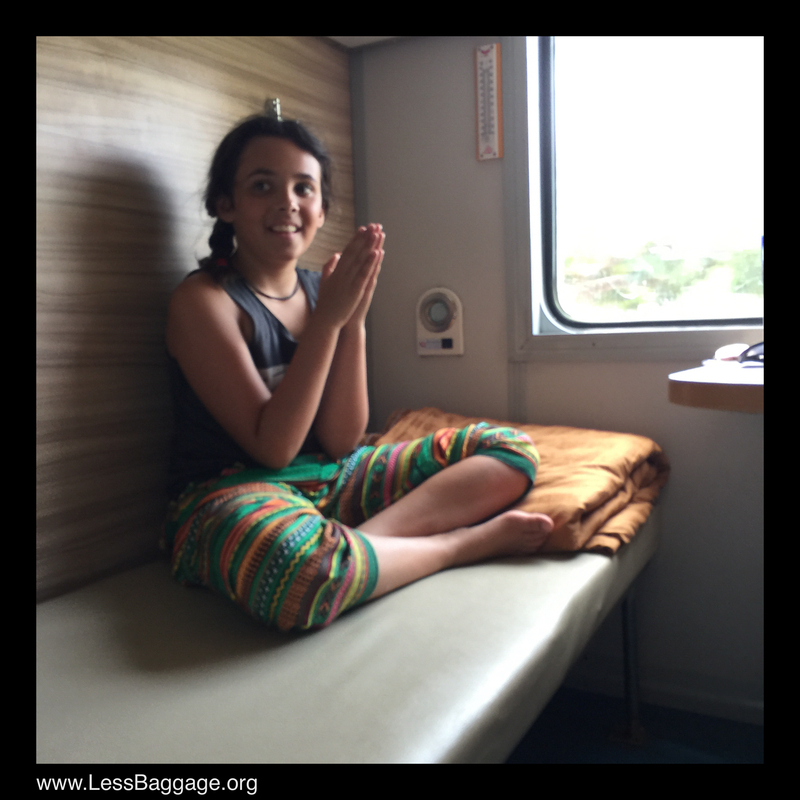 The beds are no softer in soft sleeper but there are 6 berths not 4. Thus you cant sit up at all in “Hard Sleeper” if you are any bigger than a hobbit. That said if you are a group of 6. have a tighter budget or are really only planning to sleep on the train theres no reason not to go Hard Sleeper. The locals are fantastically friendly. Cormac and Dominique were squished on to the top two bunks in a hard sleeper with a family of 6 or 8 and that was fine. 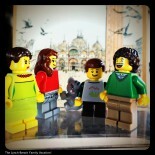 Cormac named them the “Happy Eating Family” and they lived up to the name. For the 5 hours we shared a cabin with them they were munching and slurping constantly and the baby traveling with them was the only one trying to resist. So whats it like? 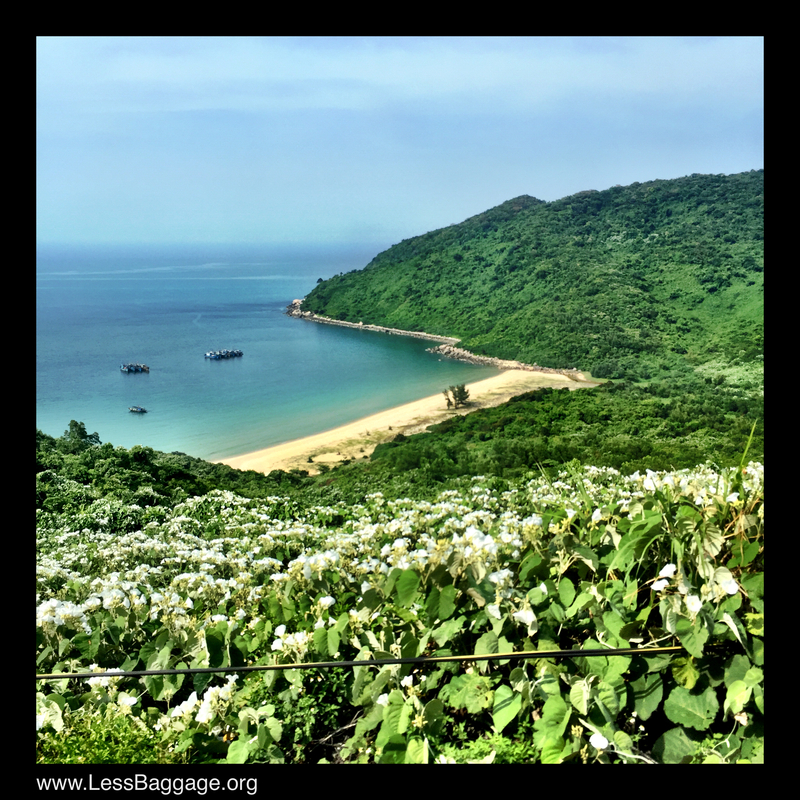 This is us travelling from Danang to Hanoi. Arrived early in Danang; had a coffee across the street from the station in a cool little cafe which was in fact incredibly hot. We were getting a little sweaty and a touch flustered. We played with the old motorbikes doubling as decor and the kids had a lots of cold water. 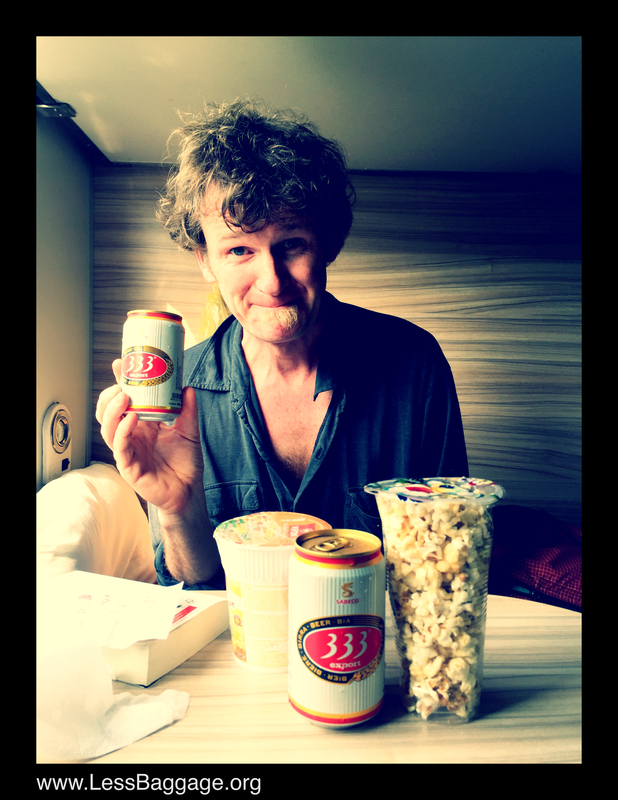 Stocked up on Banh Mi and assorted vaguely healthy food to suit the vegetarians and the pickier members of the troupe. 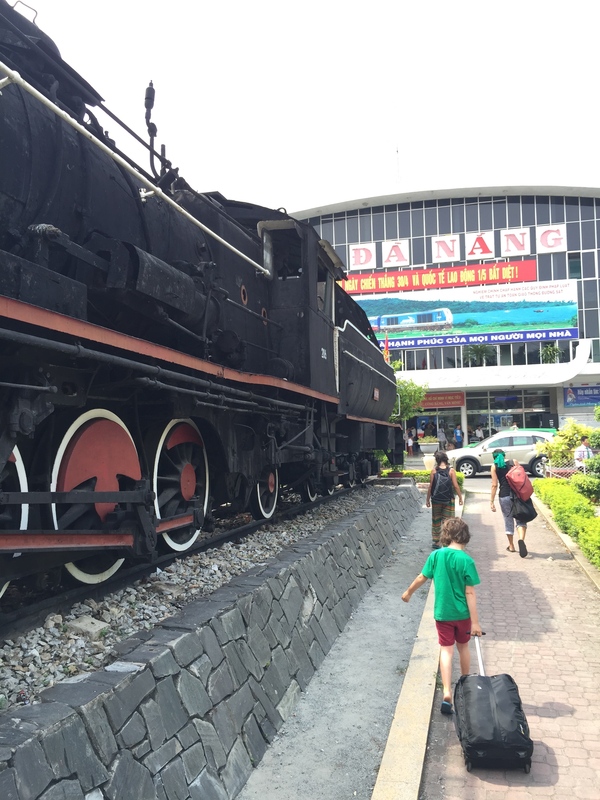 Pottered across the traffic and past the huge old steam engine outside the Danang Station. Found our Cabin. It had just been vacated and they took a few minutes to pop around and tidy up the linen. Each Cabin seems to have its own attendant. It also had a squat toilet and a western toilet. It had a “Samovar” or whatever I should call an urn of constantly boiling water. There were two sinks which were utilised as kitchens as well as places to wash or shave etc. 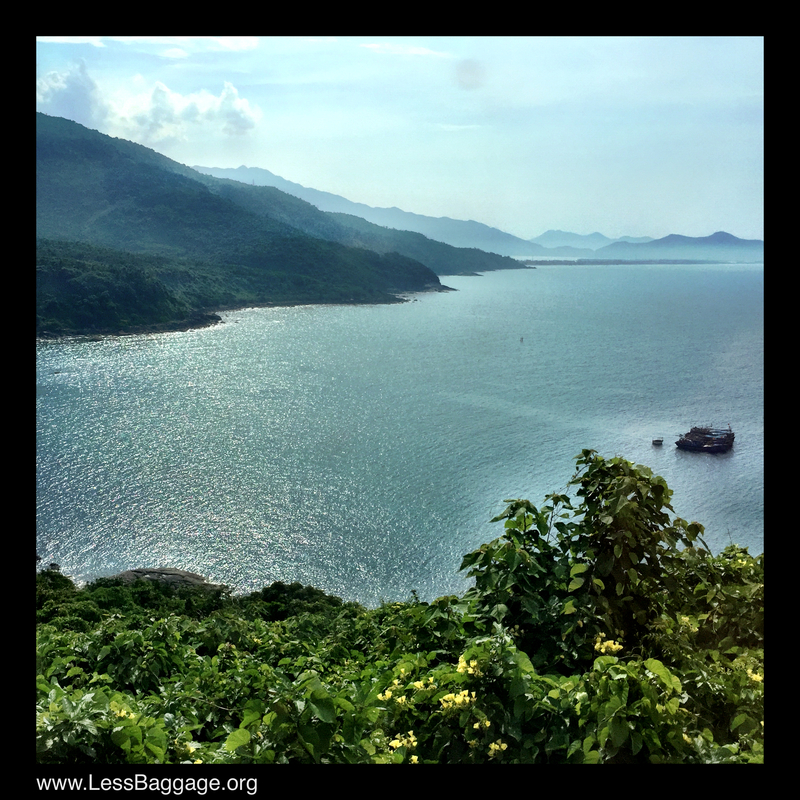 Time to sit down and marvel at the view; leaving Danang and heading north really is spectacular. Plan for a trip that goes this way in daylight. The guys turned up with some bottled water. And finally a little bit of Vietnam with out a motorbike in sight, in earshot or in your face. This bay had no traffic. There was only a rough path from the train down to the sand. Then the nice man with the drinks trolley turned up and gave me a cold beer. I almost wept with joy. I sat back and soaked it up as every one read their books and enjoyed the view. One of my personal highlights for the whole Vietnam part of the trip. There were repeated visits with trolleys of food. Not great looking stuff but Mrs LessBaggage did try it and said it was fine. We then noted that the Cabin attendants all had pre-ordered food at specified stations along the way and had it delivered to the train. 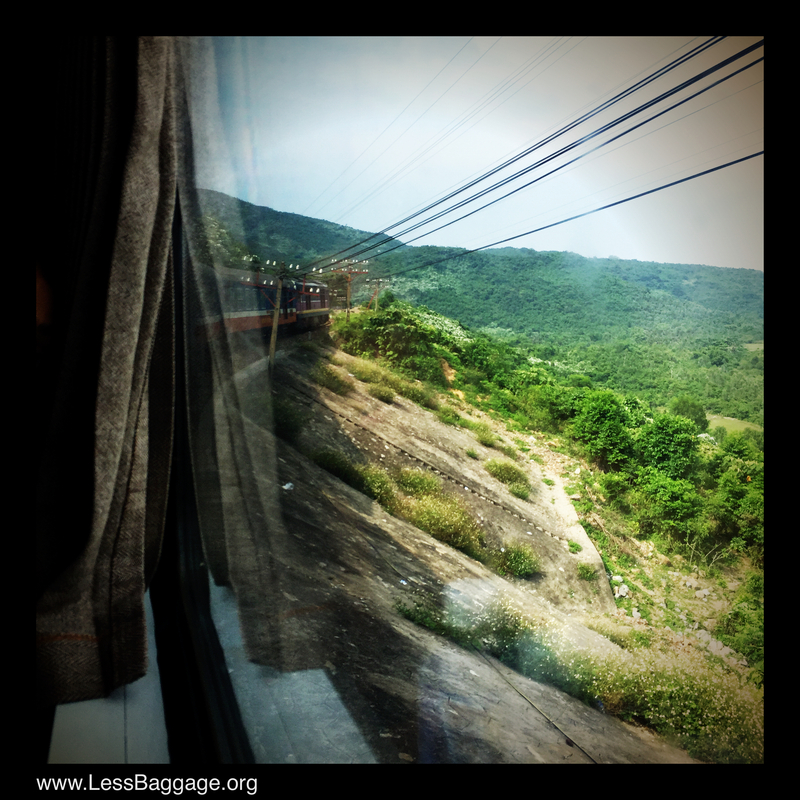 Imagine; with a bit of local knowledge your train trip up the coast could be like a food tasting tour with local specialties delivered to each station by a man or woman on a small motorbike. Getting the SE4 train out of Danang in the early afternoon 14:13 does land you in Hanoi at 05:30 the following day. There is lots to do at this hour in Hanoi but with a couple of kids and a strong desire to have a shower these seem less attractive. We had to amuse ourselves for 6 hours in order to avoid an annoying extra half a day room charge. Everyone told me Hanoi was much quieter than Saigon. I found it just as loud and busy if not more so. This is a rapidly changing country. Things seem to be changing pretty quickly. You know what Mr. Legoman, i think i’ll go travellin meself, clear me head and see if i can get me life movin in some (any) direction. Everyone else seems to have something to celebrate. Even Fr. Flatley announced at mass on Sunday that he is a celibate gay, sure the whole place went nuts, it was “ri ra agus ruille buille”. Someone produced a tin whistle and someone else got a bodran goin with the collection tray and Fr. Flatley produced a crate of alterwine, the best mass ever. Do you know what i think Mr. Legoman, i think gay people were sent to us by God or Nature or whatever your having yourself cos we humans dont seem to have the intellegence to manage our population in harmony with what the planet can provide. With happily married gay couples we can offer a decent life a decent chance for a lot of the hungery or unwanted children and start living in comunities again where everyone looks out for the children and all adults are Tio or Tia. Mary is not really interested in me, well she is but not as a partener in the bussiness, if you know what i mean. I think she feels i would be our own best customer and maybe shes right. She has her eye on that upstart Duffy (rem Duffy? the Garda) and sure hes doin everything right, standing there with his glass of water. Sean Fada wrote a book a cupla years ago and hes after gettin it published and now he has lots of “interesting” freinds and dosent seem to have much time for me. The Auldfella and i fell out, he says he dosent want me around the place till i get me drinking under control and of course the brother is delighted. Im not good company these days but none the less should you find yourself down our way with the wee ones Cormac and Aoife and Watsrname, dont forget to look me up, chances are i’ll be in me new watering hole, The Pope’s Nose, its just outside the town a few mile. I couldnt stand it in the Pogue anymore. What with Duffy grining and Sean holding court and the brother runnin round tending to the Auldfella and then Milo shows up every so often to tell us all how well hes doin. There is a hole for you. 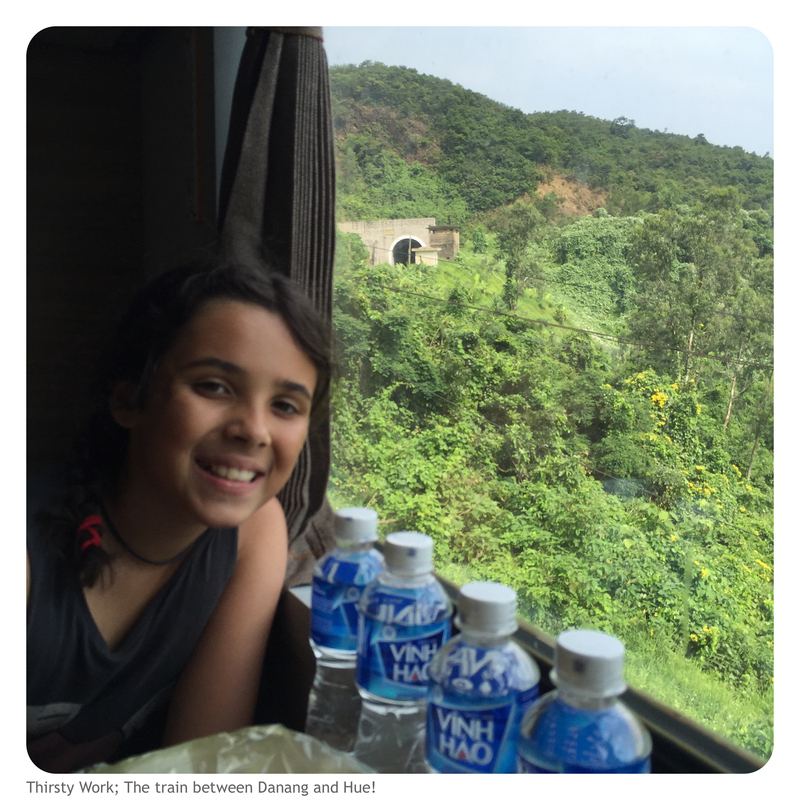 This entry was posted on 11/06/2015 by dougalynch in Grand Tour 2015, Train Travel, Vietnam and tagged Danang, Hanoi, kids, Kids Travel, Railway, Seat61, Sleeper Bus, Train, Vietnam.